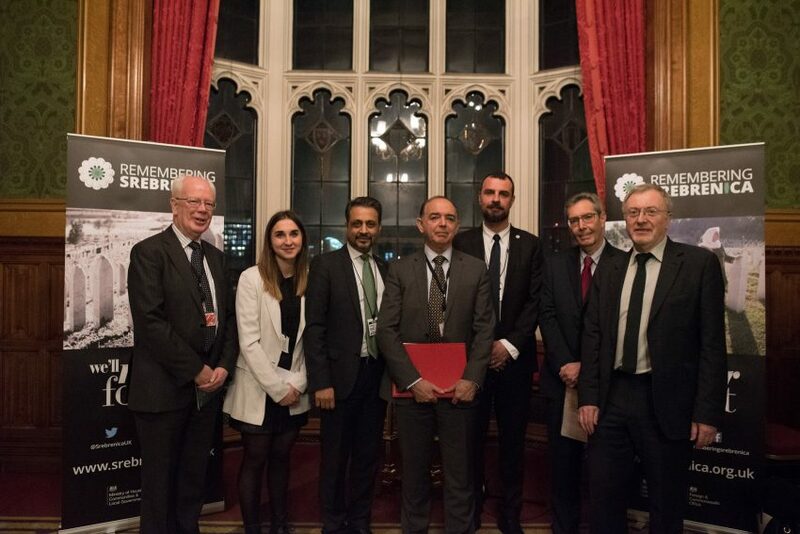 Parliamentarians from all parties gathered at the House of Lords on 6 February for the launch Remembering Srebrenica’s theme to commemorate the 23rd anniversary of the Srebrenica genocide. The theme, “Acts of Courage” pays tribute to the ordinary Bosnians who took great risks to protect others during the conflict in the 1990s. Courage is a common thread in Bosnian survivor stories – the courage to speak out against murder and sexual violence, the courage to testify, the courage to continue to speak up against those who seek to spread fear, intolerance and hate. Lord Bourne was joined by Ian Blackford MP, Leader of the Scottish National Party in Westminster, who spoke movingly about the importance of commemoration, and Richard Burden MP, who praised the work of the charity’s 1,100 Community Champions against hatred and intolerance. The event was hosted by Lord Wallace of Tankerness. Baroness Warsi, who was a key figure in founding Remembering Srebrenica, praised the cross-party support for the organisation since its inception. Baroness Warsi also reflected on the achievements of the charity, calling it “one of my proudest achievements from my time in government.” Since 2013, the charity has organised almost 5,500 memorial activities, educated more than 75,000 young people about the dangers of intolerance when left unchecked and created more than 1,100 Community Champions against hate. The event also brought together key faith leaders including senior figures in the Church of England, The Secretary General of the Muslim Council of Wales Saleem Kidwai OBE and Chief Executive of the Association of Jewish Refugees Michael Newman. The evening finished with powerful survivor testimony from Resad Trbonja and Lejla Damon. Damon, one of many children born from the mass rapes throughout the conflict, paid a moving tribute to the courage of both her adoptive parents, UK journalists who risked their lives to smuggle her out of war torn Sarajevo, as well as the courage of her birth mother. I am passing the baton of courage to you. We must stand together against hatred, fear and division across the globe”. 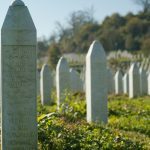 Remembering Srebrenica’s Memorial Week will be held between 8th – 15th July 2018. More information about the 2018 theme ‘Acts of Courage’, can be found here.